The American Bar Association (ABA) requires law schools to include the LSAT or Law School Admission Test as part of their enrollment process. Therefore, if you are applying to almost any law school that is ABA approved, you will have to take it. This ensures that all students meet a set of standards that will be needed to graduate and finish law school. 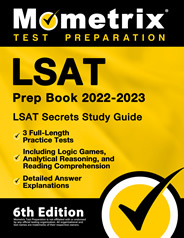 The fee to take the LSAT is $190, which is due at the time of registration. You may also decide to use the CAS or Credential Assembly Service for $195. Through this purchase, you are able to send all your transcripts, letters of recommendations, and anything else required for law school enrollment to LSAC. They will then send these on to the law schools of your choice with the inclusion of your LSAT results. The LSAT is only offered a few times each year. At the time of registration, you will be able to choose from one of these dates in your country. There are registration deadlines to take note of so that you do not miss the next available testing date. There are many locations scattered throughout the U.S., Caribbean, and Canada, as well as some sites overseas that house the LSAT. A complete list will be made available to you during registration. You will need to bring a valid government-issued identification with you to take the test. This must have a recent photo and he first and last name that matches your LSAT admission ticket on it. Calculators, electronic devices, and any other personal belongings are not allowed at the testing site. Please do not bring these or risk having to reschedule and pay the testing fee again. Each test has five 35-minute multiple choice sections, as well as, a 35-minute writing sample at the end. There is a 15-minute break after the third test section. It is important to note that one of the sections of the test is not scored. However, during the test it is not identified as such and is still necessary to complete. The writing sample at the end is also not scored. It will be sent to all schools you are applying to along with your testing results. Your test scores will be emailed to you using the address on your LSAC account when they become available. What Does Analytical Reasoning Cover? The analytical reasoning section of LSAT consists of several sets of questions. Each set is based on one single passage. These passages will describe common grouping and/or ordering relationships. Examples may include ordering tasks according to priorities, assigning instructors to class sessions, or scheduling employee for work shifts. You will not need to have any prior knowledge of the topics or cases being discussed. You will answer using the knowledge, reasoning abilities, and skills expected of college students and graduates. We understand analytical reasoning can be a bit tricky to prepare for as there are no set subjects, terminology, or formal training to be expected of this section. However, Mometrix wants to help you be as prepared as possible. 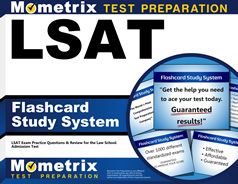 This is why we have created a LSAT study guide and set of LSAT flashcards to get your mind ready for this section. We will provide you with sample passages, questions, and scenarios that will help you practice for this type of thinking process. These will be as closely worded to the actual test as possible and the type of passages that you are likely to see as well. Be sure to get these tools to be better prepared for your LSAT.